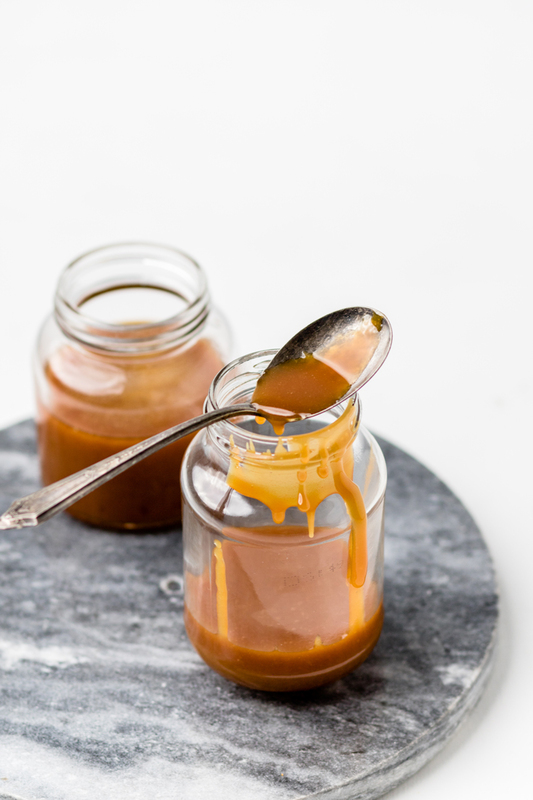 This dairy free caramel sauce is the perfect way to enhance any dairy free dessert. 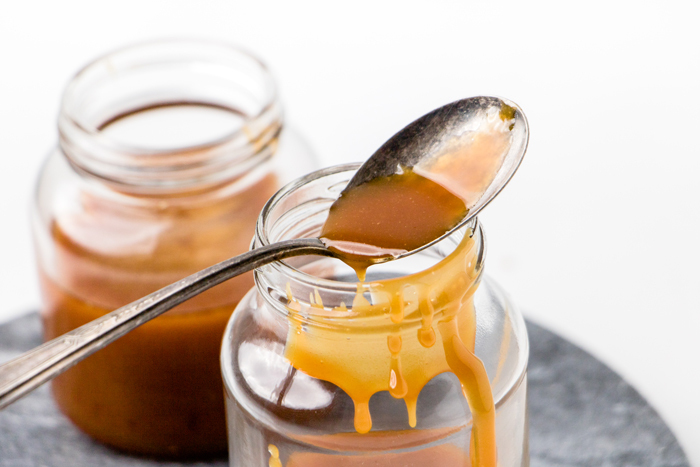 Only 6 ingredients stand in between you and this delicious vegan caramel sauce! Caramel sauce is one of the most decadent and delicious ways to take a dessert to the next level. The sweetness and richness of this dessert is irresistible and now it’s dairy free! That’s right. We’ve taken one of the most delicious dessert sauces that you can use and made it dairy free. Bonus: it’s vegan. 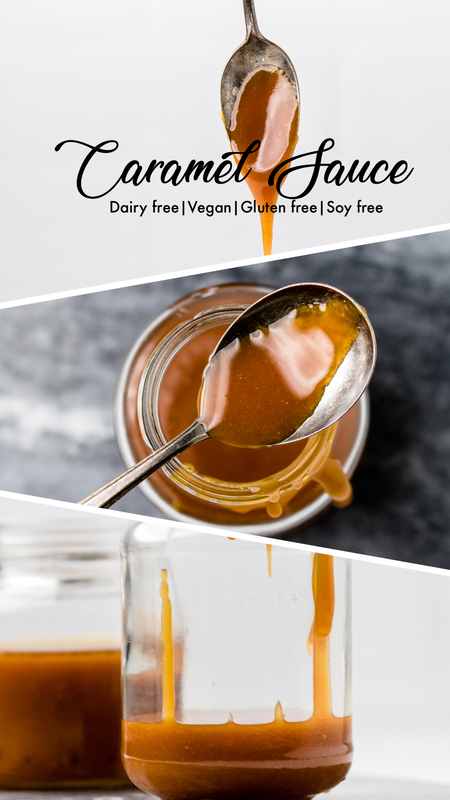 This dairy free caramel sauce is so good that you’ll have a hard time not just licking it off the spoon. Saving it for the dessert you are using will prove challenging. Now, listen, caramel is great year round. There’s never a time that it shouldn’t be caramel season. However, fall is when caramel is full blown and you must keep it around all the time. It’s great to keep a jar in the fridge just in case. 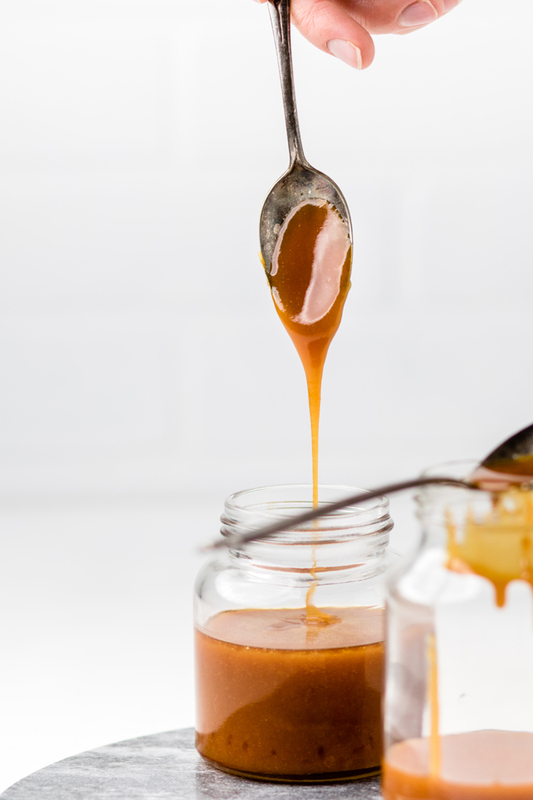 However, this easy vegan caramel sauce is super simple to make even if you need it in a pinch. Can you make caramel without milk? Making caramel without milk is actually so much easier than you would expect. With traditional caramel sauce you need heavy cream and butter. 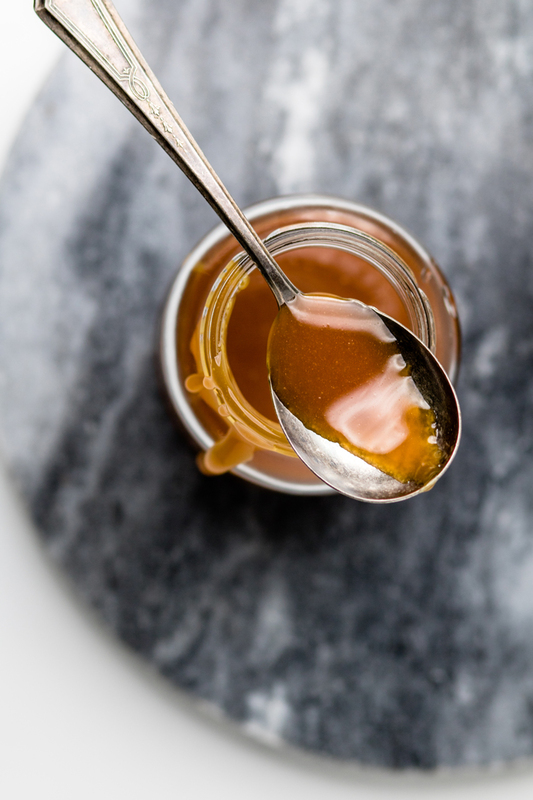 However, with some simple steps you can make a delicious dairy free caramel sauce. 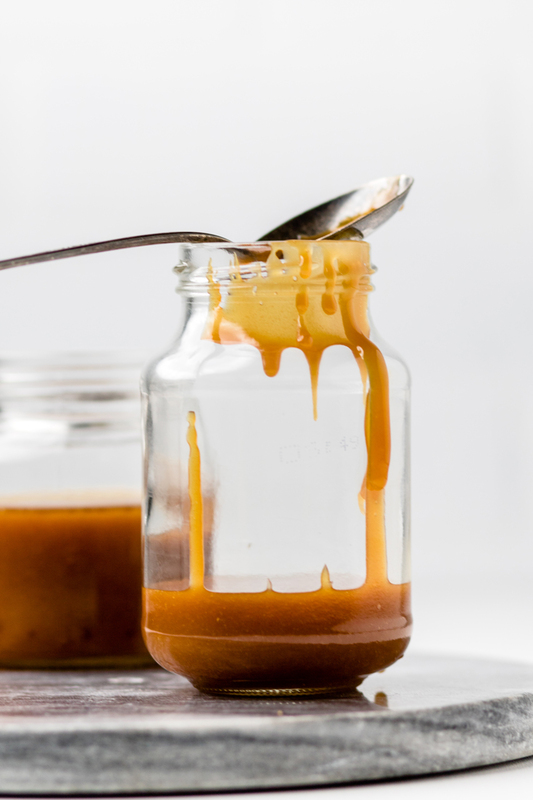 What ingredients do you need for dairy free caramel recipe? 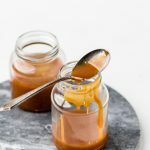 How to make dairy free caramel sauce? In a sauce pot, you’re going to boil cane sugar and water together. Cook it for 10 minutes. After that you add warmed, unsweetened almond milk to the pan and cook for a few more minutes. Next, whisk in the butter. Cook until it begins to thicken. Turn off the heat and add salt and vanilla extract. Alternatively, in place of the unsweetened almond milk and vanilla, you can use non-dairy vanilla creamer. What desserts pair well with dairy free caramel sauce? There will be no judging if you just make this recipe and literally just eat it off the spoon. However, you may want to know some recipes that pair well with dairy free caramel sauce. In a sauce pan over medium low heat, add the water and the cane sugar. Stir together. Let low boil for 10 minutes. *It may bubble up but it should get no where near the top. If it is, then your heat is too high. Add warmed almond milk to pan. Be careful of steam rising when you do this. Stir together again and let for 7-10 more minutes until the caramel sauce starts to thicken. It will still be very pourable, but it’s much thicker than water. Remove from heat and add a pinch of salt and the vanilla. Serve immediately or store in an air-tight container in the fridge for up to 30 days. 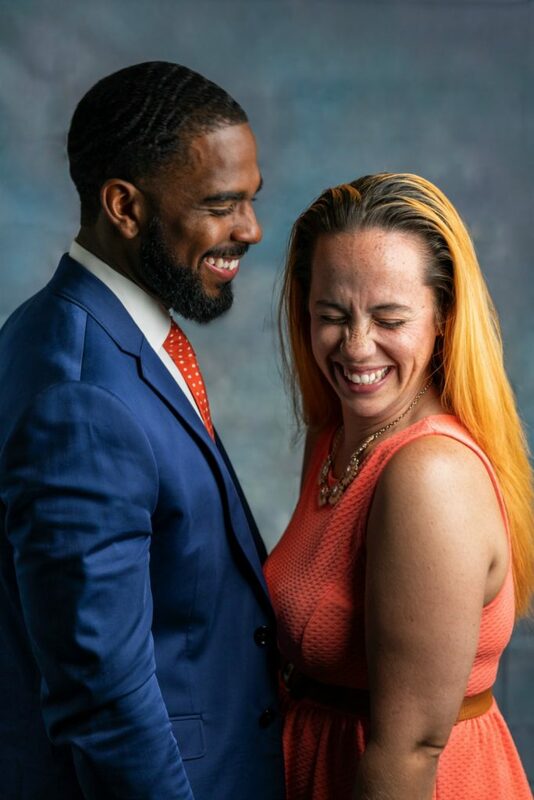 *Once cooled, it will harden. To get back to a pourable consistency, warm in the microwave at 15 second consistency or place in a water bath on the stove until pourable again. Thanks ever so much for mentioning my peanut butter avocado brownies! This sauce looks so delicious! You’re so welcome! I know it would be delicious together!